This is the custom M1911A1 pistol owned and carried by the Texas Ranger captain M. T. Gonzaullas. Note the beautiful scrollwork on the slide and frame. 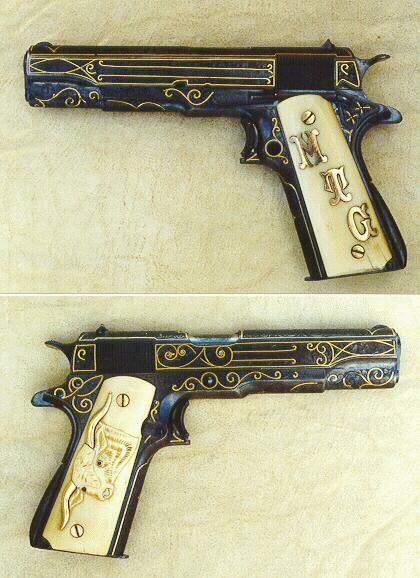 Also feast your eyes upon the special grip panels affixed to the 1911 frame.